As we speak, Paris Fashion Week is just about to wrap up, officially closing fashion month. While we are still digesting and dissecting the entirety of new trends that came clamoring down the F/W 19 runways, there are certainly a few that stood out from the rest. Since you're going to hear plenty from all of us at Who What Wear about the trends for the season when the time comes, we figured we'd offer you a different perspective first, a perspective we know you love—the French-girl perspective. We tapped three of our favorite Parisian style icons to fill us in on the fall 2019 trends they already can't wait to wear. Yes, fall is quite a ways away, but this forecast of the fashionable future is a great way to stay on top of your sartorial game. From fresh takes on menswear to the more-is-more approach, there are tons of new styles and trends just around the corner, and if these French girls have anything to say about it, they are the trends you're going to see a whole lot of this year. "I am super excited to wear the more masculine trends such as big blazers or tuxedo pants!" "So my favorite trend for next season is what I call the go-big-or-go-home trend—oversize bows and shoulders, the over dramatic touches as seen at Fendi or Marc Jacobs. French girls are more attuned to a less-is-more kind of style, but I am quite the opposite and am very glad the drama will be back very soon!" "Some trends got me really inspired for fall 2019, and the return of the '50s aesthetic is one of them, especially the Teddy Girls silhouettes at Dior. The leather-mania trend will also be omnipresent, from black jackets inspired by the underground culture to laser-cut leather seen at Bottega Veneta. Another trend that really caught my eye was the power coat. I find sharp tailoring, strong shoulders, and noble fabrics very empowering when it comes to outerwear. Speaking of noble fabrics, silk pants are coming back, as seen at Tom Ford, which also got me excited for purple and lavender colors." 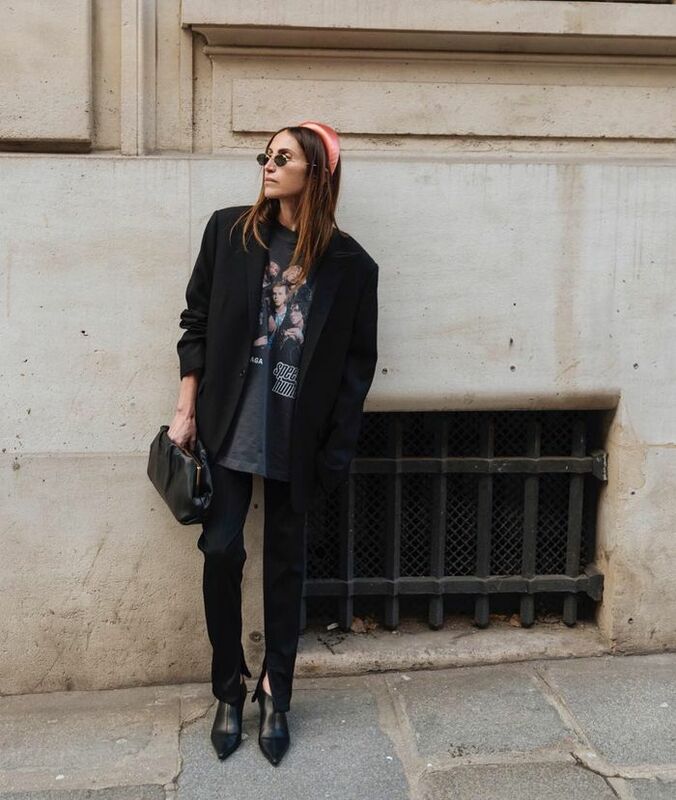 Speaking of French girls, check out the latest street style photos from Paris Fashion Week.